The new wing of the MFA opens to the general public on Saturday November 20, but today RainyDayMagazine, along with a few hundred other folks, got a FirstLook at this beautiful addition to the Museum. The new wing will take a hemispheric perspective on Art of the Americas, showcasing more than 5,000 works of art produced in North, Central, and South America over the course of three millennia. Art in all media will be arranged chronologically on four floors. The wing’s 53 brand-new galleries will include nine beautiful period rooms and four Behind the Scenes galleries. The image above and the two below were taken by Chuck Choi and supplied by the MFA. These gave a much better sense of the openness of the space. 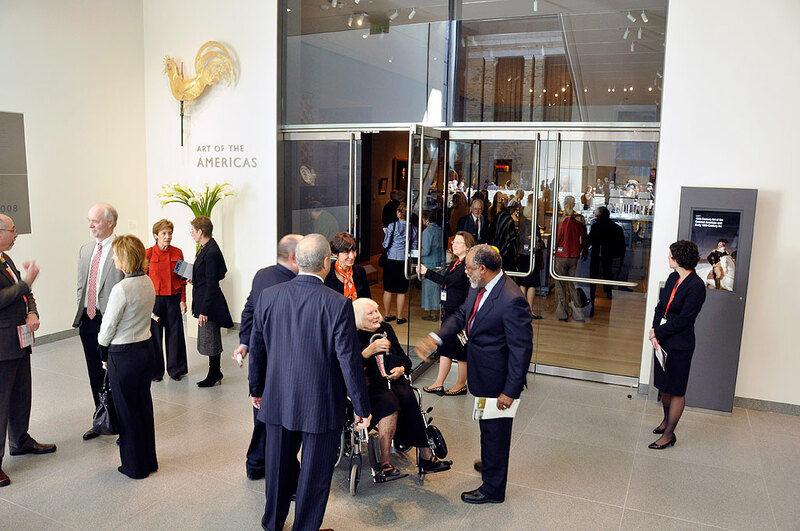 The new wing increased the MFA’s total square footage by 28 percent, from 483,447 to 616,937 square feet. The wing for the Art of the Americas features a central glass building flanked by two pavilions of glass and granite. The extensive use of glass allows passersby to see inside and Museum visitors to see outside the building. From the top floors, there are sweeping vistas of Boston from Fenway Park to the Back Bay skyline. 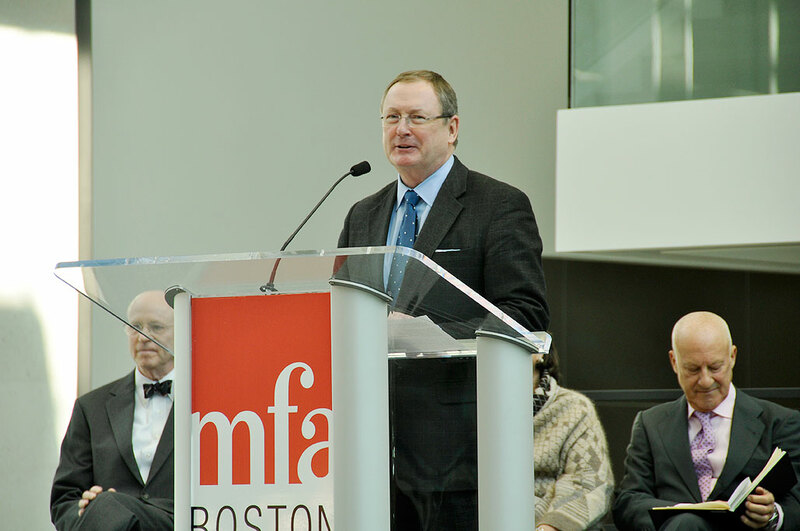 The MFA’s project development team, led by architectural firm Foster+Partners, included CBT/Childs Bertman Tseckares Inc., Boston, executive architect; John Moriarty & Associates, Winchester, construction manager; Skanska USA Building Inc., Boston, enabling contractor; and George B.H. Macomber Company, Boston, Preconstruction services. The Museum’s $345 million building project, which broke ground in 2005, was supported by a fundraising campaign that raised $504 million for new construction and renovations, endowment of programs and positions, and annual operations. More than 25,000 people contributed to the campaign which concluded in 2008. Members Preview day is this Sunday starting at Noon. Check the MFA for the most up-to-date info. Between now and November 20th, RainyDayMagazine will take you inside, show you around, and get you oriented with the new wing. There are a lot more to the new wing than just the wonderful art work. On November 20, MFA Day, the doors will be open to the general public at 10AM. Admissions will be FREE. There will be planned activities throughout the day. Go early, stay the whole day, and have a great time!! !